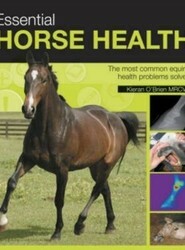 A guide to equine health that shows when expert help is required. 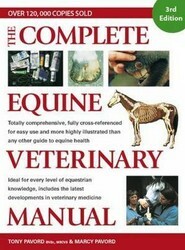 It includes an index of known equine diseases throughout the world, covering the symptoms, causes, diagnosis and treatment of each, and an alphabetical encyclopaedia of specific diseases. Identifying the eight most common syndromes, this title offers advice on dealing with them. It features guidance for diagnosis; illustrated advice for treatments, and photographs to help identify problems. 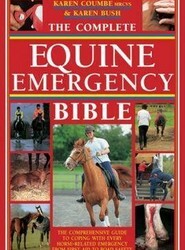 Offers comprehensive advice on exactly what to do should you, your horse or a friend become injured when out riding or at the stable yard. This title covers many different topics from minor horse injuries such as surface wounds to more serious accidents such as broken bones or eye injuries. It also discusses sprains, concussion, and shock. 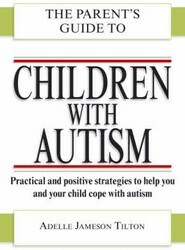 A guide to practical and positive strategies for helping parents and children cope with autism. It provides advice for parenting, and features help and support for the extra pressures an autistic child puts on parents and relationships. It covers important stages, from initial diagnosis and day-to-day life through to the teenage and adult years. All horse lovers want to keep their animals healthy, and The Injury-Free Horse gives them the confidence and knowledge to accomplish that goal. 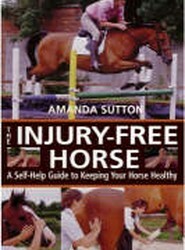 Noted expert Amanda Sutton encourages readers to develop a better relationship with their horses, offering advice for: *Improving a horse's physical and mental well-being through massage, suppling and stretching exercises--complete with step-by-step photos! 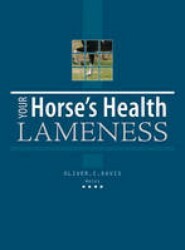 *Recognizing problems and heading off injury with preventative care*Modifying exercise programs for special cases, including older horses and those in rigorous competition An essential guide for any horse owner, this is a book that will be pulled off the shelf again and again! Amanda Sutton has worked as a physiotherapist for a variety of high-profile events, including the Windsor and Burghley horse trials and the Barcelona and Atlanta Olympics. The owner and manager of Harestock Stud Physiotherapy Practice, she lives near Winchester, Hants, England.